Almost 90 Ohio mayors, all of whom are members of the group Mayors Against Illegal Guns, joined together to write a letter to Senator Rob Portman (R-OH), urging him to reconsider his position on background checks for gun sales. The letter was sent Tuesday from Columbus Mayor Michael Coleman to Portman’s office. Politico obtained a copy. We are calling on you to join us and stand with the overwhelming majority of your constituents who support this tough-on-crime measure, and to help protect our communities from the scourge of gun violence that claims 33 Americans each and every day in this country... Evidence clearly demonstrates that background checks would help prevent further bloodshed and save innocent lives. But because of gaps in our current gun laws that only require background checks for sales at federally licensed firearm dealers, hundreds of thousands of guns are transferred every year with no questions asked. It’s a loophole that caters to criminals and all too often leads to devastating results. 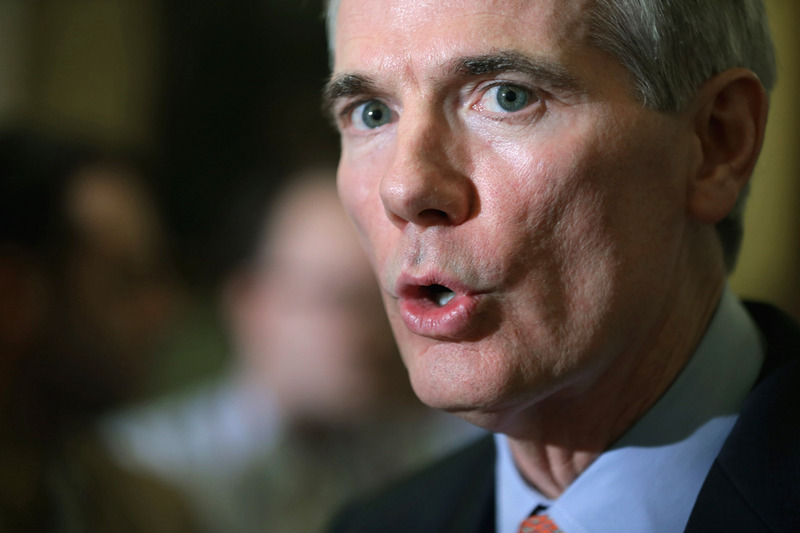 Gun control advocates have a history of clashing with Portman over the issue of background checks. For example, Coleman helped host a rally last week in Columbus as part of the No More Names bus tour sponsored by Mayors Against Illegal Guns. Portman's office responded to the rally by releasing a statement defending his anti-background check position. “Based on the Administration’s own Justice Department statistics about how criminals obtain guns, we also know that legislation to expand background checks to private sales would have no meaningful impact on the unacceptable level of daily gun violence on the streets of Columbus and other places in Ohio,” Portman said. The Senate failed to pass legislation requiring background checks by a vote of 54-46 in April. Portman voted against the bill. More than 90 percent of Americans support universal background checks. Even the NRA sees the light on this issue — 74 percent of everyone's favorite gun lobby also wants checks. Portman's office has not yet received the letter, but a representative said in a statement Tuesday the senator is eager to work with anyone with a track record of curbing gun violence. "Senator Portman also looks forward to the mayors’ future support of reauthorization of the Second Chance Act and the Drug Free Communities Act, efforts that are actually helping reduce the gun violence wreaking havoc in some of our communities and among our families," the statement said.